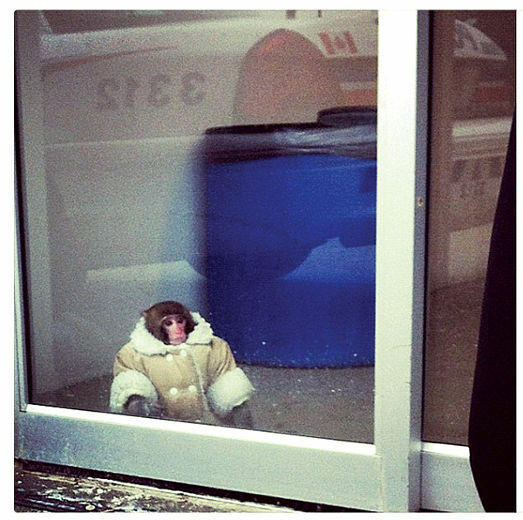 Darwin, the infamous “IKEA Monkey,” escaped from his owner’s car in Toronto, ended up inside a nearby Ikea, found by store staff, and taken to an animal sanctuary. Owning a pet monkey in Toronto is illegal. Darwin’s owner took the case to court against Story Book Farm Primate Sanctuary to have the Japanese macaque returned to her, stating she was the best owner for him because he bonded with her and would be happiest in her home. Darwin lived for 5 months with his owner and her family, with many Youtube videos as proof of this and how well they cared for the monkey. On Friday, September 13th, an Ontario judge dismissed the suit and stated that Darwin should remain at the animal sanctuary. The judge felt Darwin was a wild animal and not a pet, and that his owner lost custody of the animal when he escaped the car. After Darwin was taken to the sanctuary, his owner signed a paper turning him over to the city but later said she was tricked into signing the document. So once such an animal escapes the owner no longer has valid ownership. I do not know if Darwin’s owner has further legal recourse, but for the time being Darwin remains at Story Book Farm Primate Sanctuary. This case is a difficult one. I do not truly know if Darwin’s owner knew it was illegal to own him in Toronto, and I do think she would have moved to keep him. Their family had bonded with Darwin. But, I also agree that he could be considered a “wild animal.” Primates are very intelligent and often require levels of care and socialization that a normal family simply cannot provide. Maybe they were properly educated on everything they needed to do and know, maybe not. He probably should not have been in a cage in his owners car while they were off doing other things. I am not sure what kind of proper care that is for any animal. Moreover, Darwin was young and there is no telling what would happen to his personality once he reached maturity. An animal that is not domesticated will still have wild instincts and unpredictable behavior. Under how the law was written I am not sure if the seizure of Darwin was correct, but being with others of his own kind in an environment made to be like his wild home in an animal sanctuary seems to be in his best interests. What do you think? Was Darwin a truly “wild animal” and if he escaped could cause harm? After only 5 months of life with people, would he be more happy there or in a sanctuary?